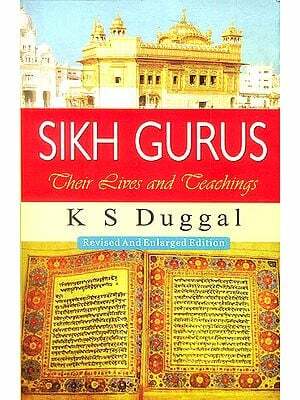 The tenth and last of the Sikh Gurus, Guru Gobind Singh lived during an extremely hostile period. His father Guru Teg Bahadur, had sacrificed his own head to protect the Hindus, who were being threatened with conversion or death by fanatic Muslim ruler. In the midst of this political situation, Guru Gobind Singh gained great stature as both saint and solider: a leader of firm spiritual principles and intense devotion to God, and at the same time, fearless dedication to protect all from oppression and injustice. The story of Guru Gobind Singh, who had to shoulder the responsibility as 'Guru' when he was just nine-years old, will not only inspire the Sikhs, but every person who loves bravery and has faith in God. The 'Panj Pyare' (Five Beloved) episode, detailed in this book, infused a new life in Sikhism and brought discipline in its followers. This is part of the spectacular WILCO PICTURE LIBRARY (WPL), slated to be a 500 plus titles series, pioneering the innovative way of enlightening on various subjects in a fun-filled way via a comic format artwork, full of colourful illustrations along with simple but interesting narration and dialogues, thereby making story-telling an enjoyable experience.